The 2018 York Design Awards have been launched with a thought-provoking lecture by architect Bob Allies OBE of Allies and Morrison, which is developing the masterplan for York Central. Sponsored by Hiscox, the awards are now in their 12th year and celebrate and promote good design across the city. Property developers, housebuilders, architects, building owners and homeowners can enter their projects at www.yorkdesignawards.org before the closing date of 21st March. The launch event took place at the York Theatre Royal, winner of two York Design Awards last year, one in the restoration, refurbishment and conservation category, the other being The Press People’s Award, the only award voted for by the public. The audience of more than 150 property professionals were inspired by Bob Allies of Allies and Morrison “Fabric of Place” lecture in which he shared the masterplanning guidelines and principles that the architectural practice creates for each project it undertakes. 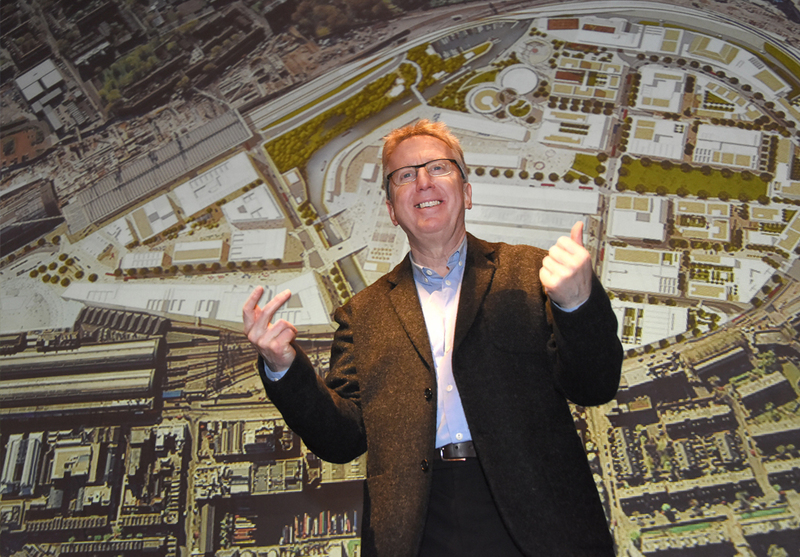 Mr Allies focused his lecture on the Kings Cross Central masterplan. He highlighted the need to maximise existing potential within a site, create public spaces first, develop a variety of mixed-uses and to remain flexible throughout the design process. Full details on the categories and how to enter the prestigious awards, are available at www.yorkdesignawards.org. Winners will be announced and presented with their awards at the presentation evening which takes place on Monday 25 June at the University of York’s Ron Cooke Hub. Previous winners include The Chocolate Works new build phase 1, Little Knavesmire Sports Pavilion, The Rattle Owl, York Art Gallery, The Hiscox Building, York Racecourse, St. Everilda’s Church extension and the restoration of the Old Probate Office. The awards programme operates with the generous support of a number of sponsors who have a strong association with the city. Hiscox are once again the main sponsor, with additional high-profile sponsors Arup, O’Neill Associates, City of York Council, Shepherd Group, York Science Park, The Partners Group, United By Design, Virgin Trains, Ravage Productions, The Grand Hotel, George F White, York Civic Trust, Crombie Wilkinson, Fulprint, Bedern Hall, York Conservation Trust and York Guild of Building. Thank you to everyone who came to the launch event. Please click here to view photos from the night https://flic.kr/g/zbJw7.